Why aren't pole items respawning? Hello. I have a Free Mac Server from @Wingysam, and the pole items aren’t respawning. The rules are set to “Respawns/ wears out”, and I’ve already collected a few from the same poles, but now they just aren’t respawning. Also, possibly related, I think the Owner’s Portal or Free Mac Server site has been down-- could this be the cause of my problem with the pole items? The server is called “XARNOK FOUR AND A HALF”, if that helps at all. Any help is appreciated! Thanks! Ok thanks, I’ll give it a little longer . Is the site still down for everyone? What’s going on with the OP? I haven’t heard anything, just haven’t been able to log in for days. What is full form of OP? @WumboJumbo and @BUILDITME1, he means Owner Portal. Said so in the OP (lol this time I mean Original Post). Plus, wouldn’t make sense to not have been able to log into the original post. 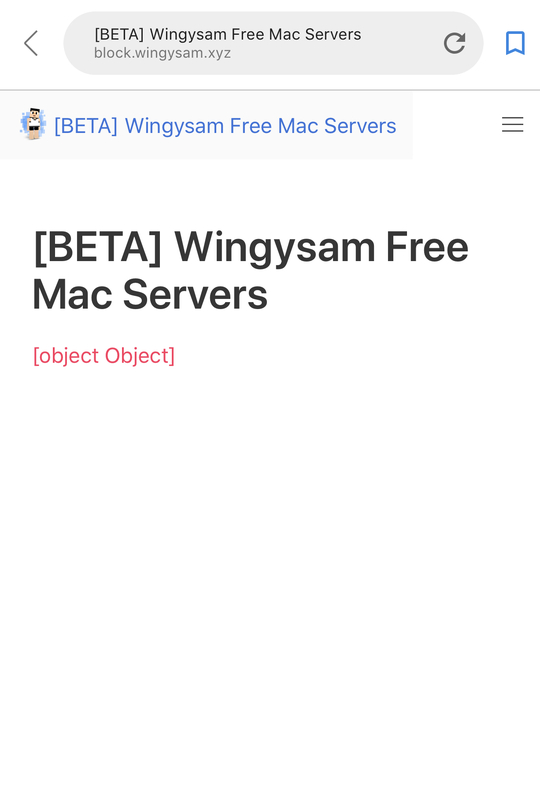 Whenever I try to log into wingysam’s free Mac server site, where I used to be able to access the Owner’s Portal, it now only says “[OBJECT] [OBJECT]”, instead of listing my worlds. Yep, I just had to be patient lol. Also, Mac servers apparently don’t keep running when you sign out, so I had to meditate for a few game days while I was signed in. Thanks!